Do any of these phrases sound familiar? Unfortunately, most of us are used to hearing this negative self-talk and it can be very detrimental to our general well-being and mental health. Let’s examine negative self-talk and a way to combat it. 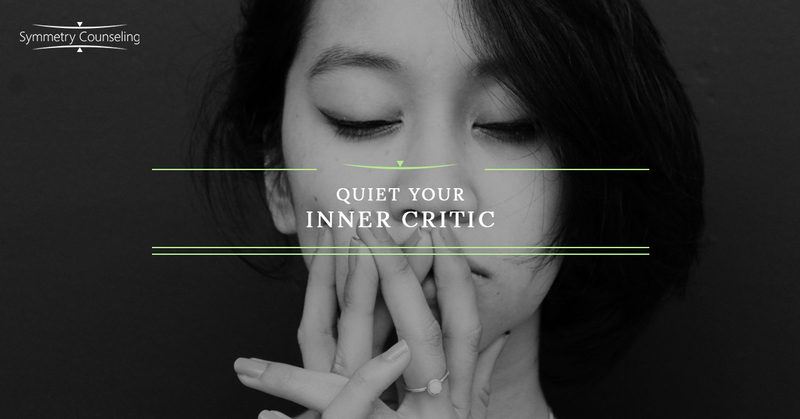 Often referred to as the “inner critic”, negative self-talk is the tiny voice in your head trying to undermine you. It has countless ways to say it, but the message is clear: “you aren’t good enough.” This voice is part of your own consciousness, so it knows your weak spots intimately and will attack you where it hurts the most. When negative self-talk gets out of hand and takes over, it can lead to depression and anxiety. Negative self-talk also works to sustain feelings of depression and anxiety. Since negative self-talk is a part of our inner-monologue, it is easy for it to fly under the radar of your conscious mind and go unnoticed. The first step towards minimizing this kind of thinking is identifying it. One way to notice it is to take a moment of reflection when you are feeling upset or frustrated. If you have made a mistake, what do you tell yourself about that mistake? If you misspeak during a work meeting and feel bad, what are you saying to yourself? Catastrophizing: Seeing and assuming only the worst possible outcome of a situation. Polarizing: Seeing things in black or white; If something is not perfect it is all bad. Once you recognize your critical voice, it is helpful to give it a name (the nag” or “mr. perfect”); Any name will help to externalize this voice from the rest of your consciousness and reduce its power over you. Begin to call it what it is when you notice it. Positive self-talk is finding the realistic perspective. Start to replace your negative self-talk with positive. Positive self-talk improves your confidence and makes you feel happier overall. This does not mean lying to yourself if you are not feeling good about something – putting a false positive spin on something won’t make you feel better about it. Instead, fostering positive self-talk is more like re-focusing, such as paying attention to what you did well or honing in on how you can improve. It is finding positive, yet realistic elements. Negative: I choked during that meeting, I’m such a failure. Positive: I did alright but it didn’t reflect my full ability. Next time I’ll prepare differently. Negative: If I don’t do a good job on that presentation, I’m going to get fired. Positive: It is important to me that I do a good job. I will work hard and ask for help if I need it. Negative: I always make mistakes. Positive: I am human— sometimes I make mistakes and sometimes I succeed. The perspective you take in any given situation will impact both your mood and how you interact with other people. Stepping away from your negative critic and kindly regarding yourself will benefit you. Negative emotions are a part of life, but you have the ability to refocus them to play a helpful role in your psyche instead of keeping you down. If you need more help in noticing these patterns of thinking or if you feel stuck in endless negativity, talk to a therapist.